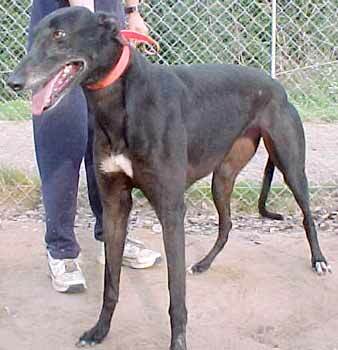 Sue, aka AZ I'm For Real, is a beautiful black 3-year-old girl, born January 31, 1999. 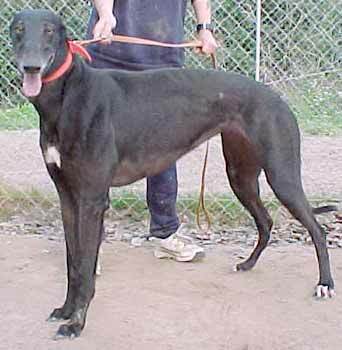 Sue raced at Gulf Greyhound Park and her racing career was cut short due to a hock injury, which is all healed now. Sue is a really sweet girl and will be a greyt companion pet.